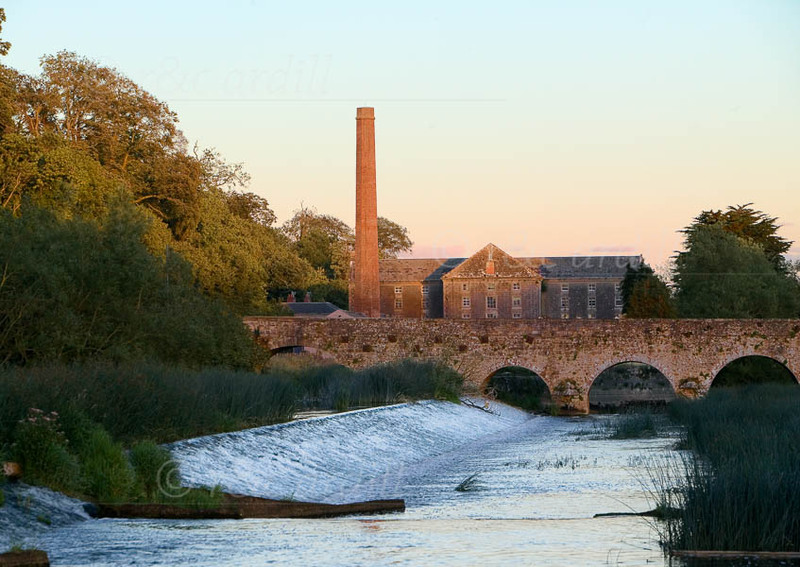 Photo of: A view of the weir, bridge and mill at Slane. This is an evening shot with the sun just touching the chimney and roof of the mill. The purpose of the weir was largely to divert water to the mill, as well as to aid navigation. At times in the summer, as in this image, lush reeds grow on the river - these are normally swept away during heavy rains.